With this project, we designed a lovely patio area using Limestone paving slabs. 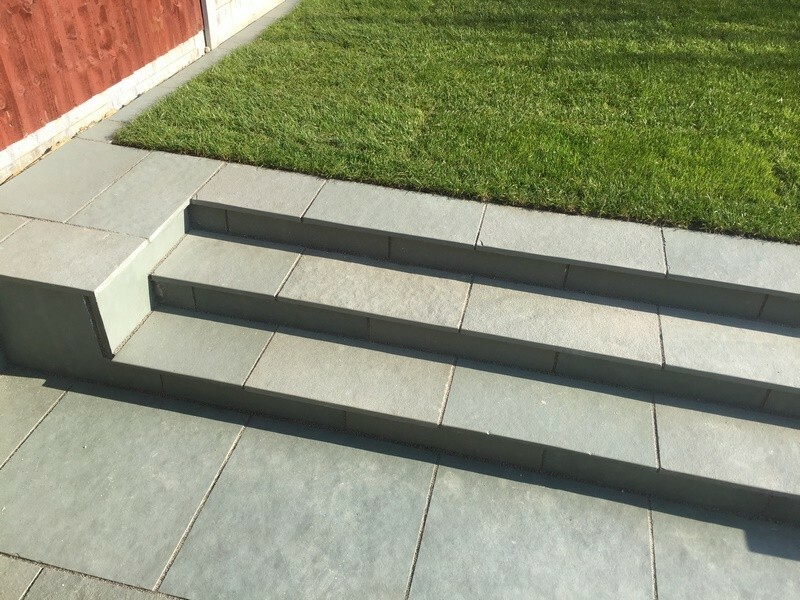 Because the garden was not level, we had to add some steps into the design using the same Limestone paving slabs. The steps lead up onto a lovely grass area. We dug this area up using a mini digger. It was then levelled off so we could lay new turf.